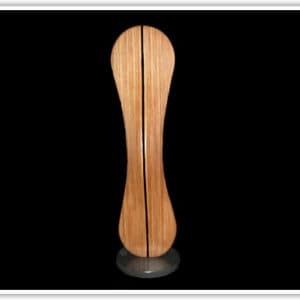 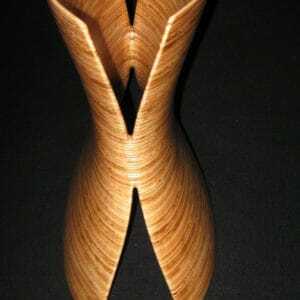 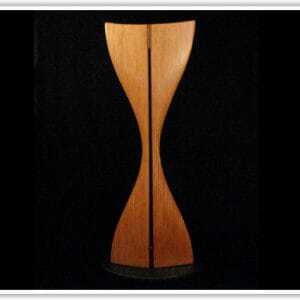 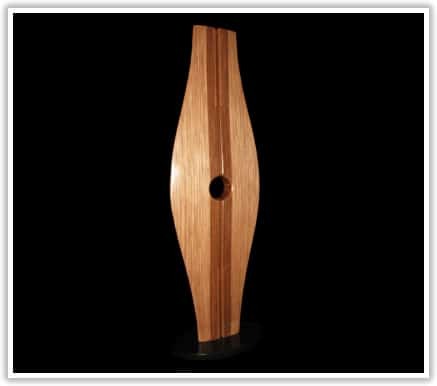 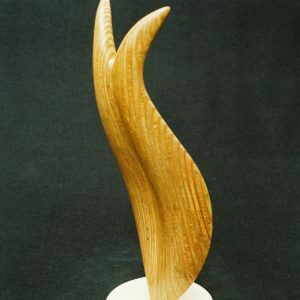 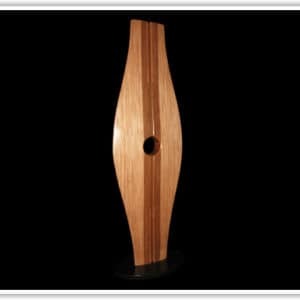 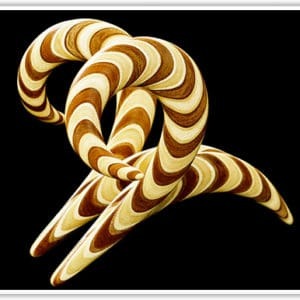 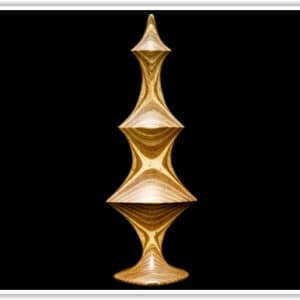 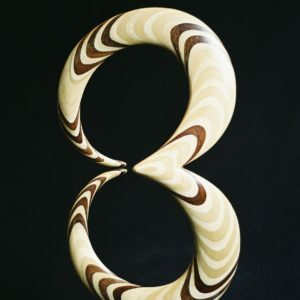 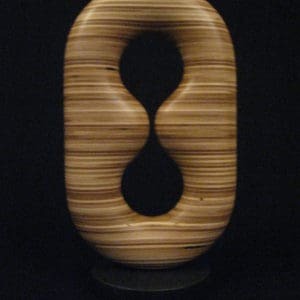 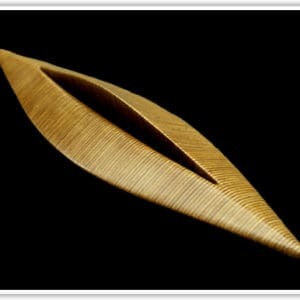 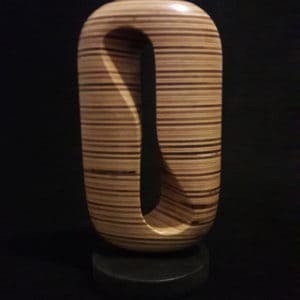 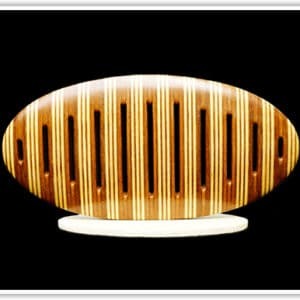 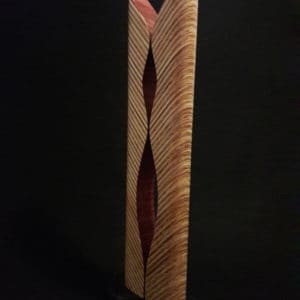 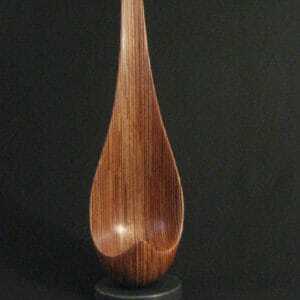 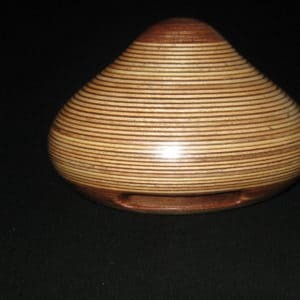 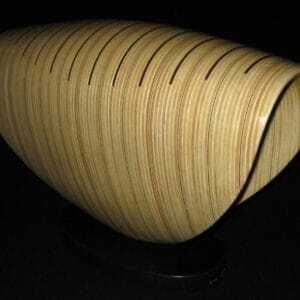 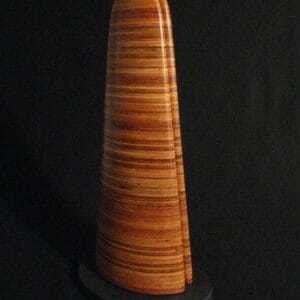 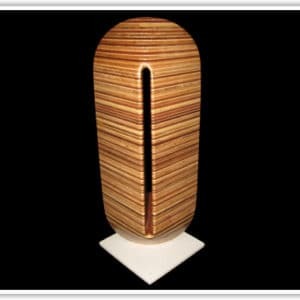 An architect by education and vocation, I have been working with laminated wood sculpture since 1971, and have exhibited my works throughout the U.S. including over twenty states. 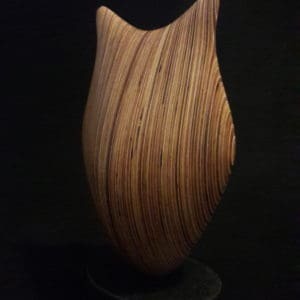 My work is included in numerous corporate collections as well as permanent collections of the Orlando Museum of Art (FL), the Huntsville Museum of Art (AL) and Wiregrass Museum of Art (Dothan, AL). 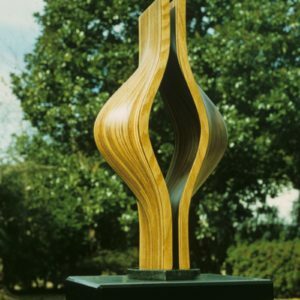 I received an Individual Artist Fellowship from the National Endowment for the Arts through the Fine Arts Council of Florida in 1978. 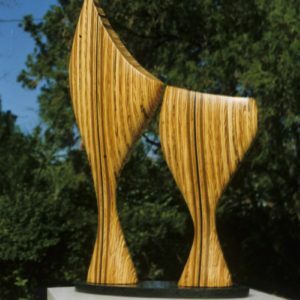 From 1994 to 1997, two of my works were displayed in the U.S. Embassy in Bahrain through the U.S. State Department, and one each have been in U.S. embassies in Latvia, Angola, and Zimbabwe. 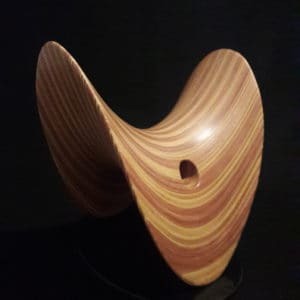 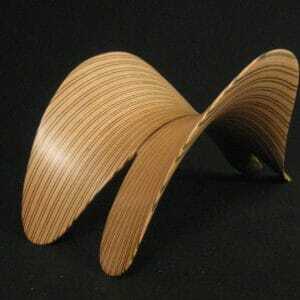 Consisting of a natural material altered through a technological process (plywood), my work explores the relationship between organic form and technology. 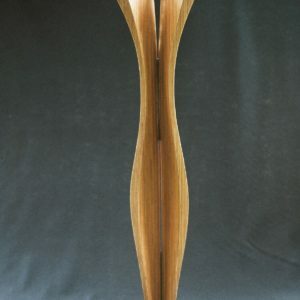 My forms are inspired by nature. 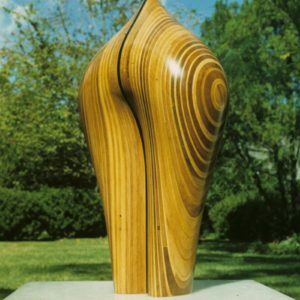 I attempt to create integrity of material/method/form as a language of expression. 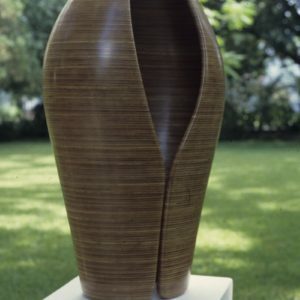 Starting from sketches, I produce full-scale contour drawings outlining each shaped piece needed to build the form. 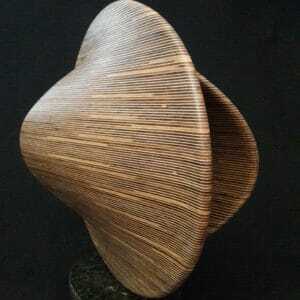 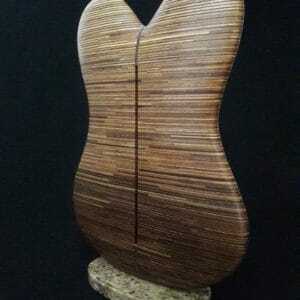 These are traced onto plywood, cut out and laminated to produce the rough sculpture using white wood glue. 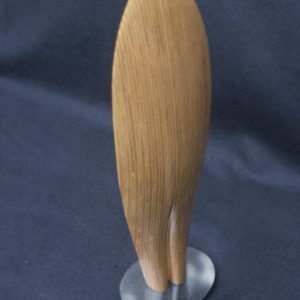 The surface is then carefully ground, sanded smooth and given a satin polyurethane finish.